Gorgeous and spacious home with amazing views of Colonial Lake. This single family home was once 2 units so has 2 working kitchens, 2 washer/dryer hookups and 2 electric meters! The original hardwood floors are in excellent condition. 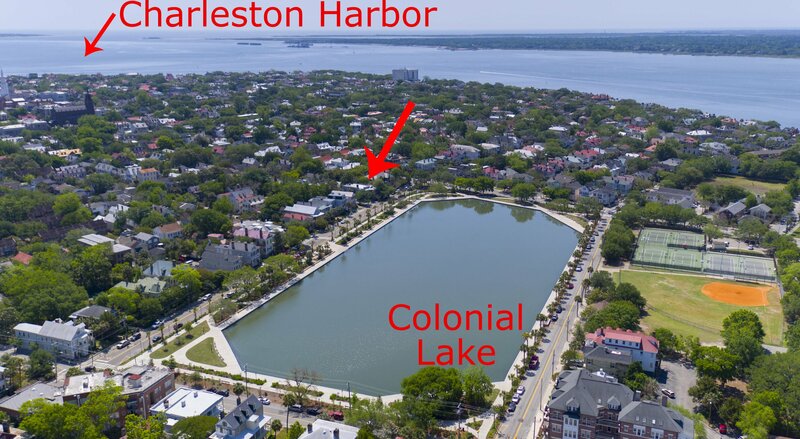 Full piazzas on both first and second level allow you to take full advantage of the views of Colonial Lake and the Ashley River beyond. A rear courtyard is perfect for entertaining and there are 3 OFF STREET PARKING SPACES! Downstairs you'll find a large southern parlor with fireplace that opens onto the front piazza, a spacious dining room also with a fireplace, a family room with a fireplace, kitchen, 2 bedrooms and 2 full baths. Upstairs you'll find the large master bedroom with fireplace &ensuite bath which opens onto the 2nd floor wraparound piazza Also upstairs are a living room with fireplace, dining room with fireplace, 2nd full kitchen, a 2nd bedroom and bath with office area attached. The second floor can also be accessed by a rear staircase off of the courtyard. This home is truly unique and oh so Charleston! 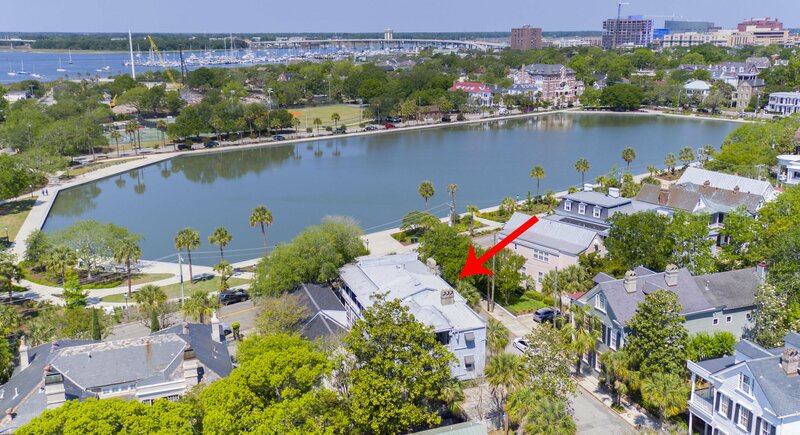 Convenient to walk to MUSC, Roper Hospital, the VA Hospital, Broad Street, King Street, Mason Prep School, Charleston Day or Ashley Hall school. Also just across the lake are the City tennis courts and baseball field! A must see! Truly one of a kind!